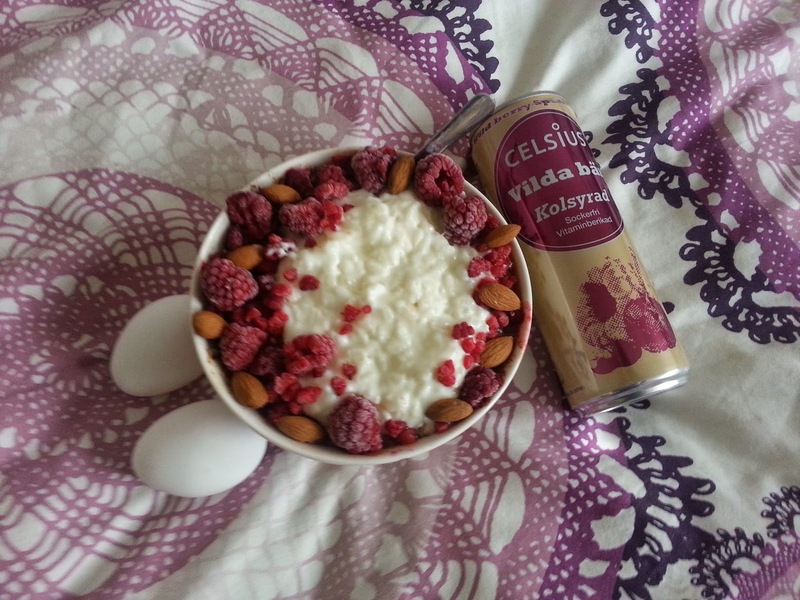 Chocolate egg white oatmeal with cottate cheese and quark. 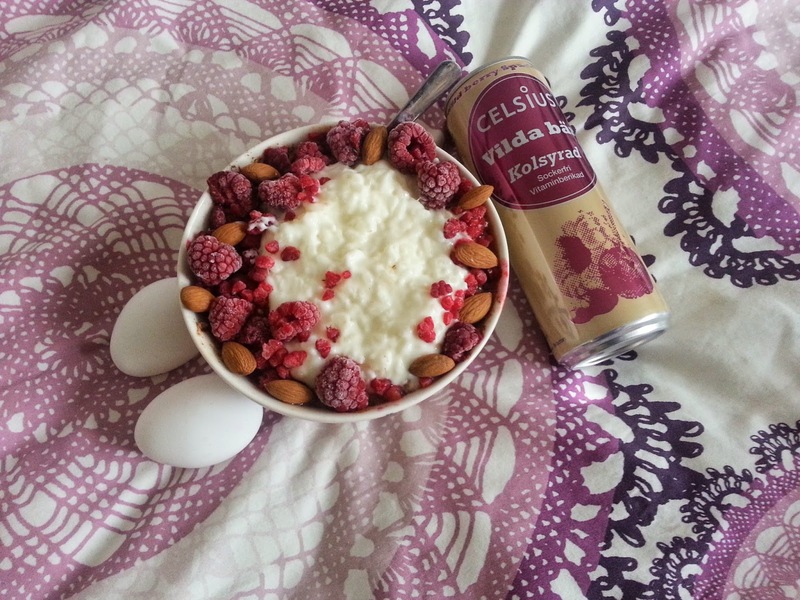 Raspberries, almonds, 2 boiled eggs & a celsius to start my day!!! 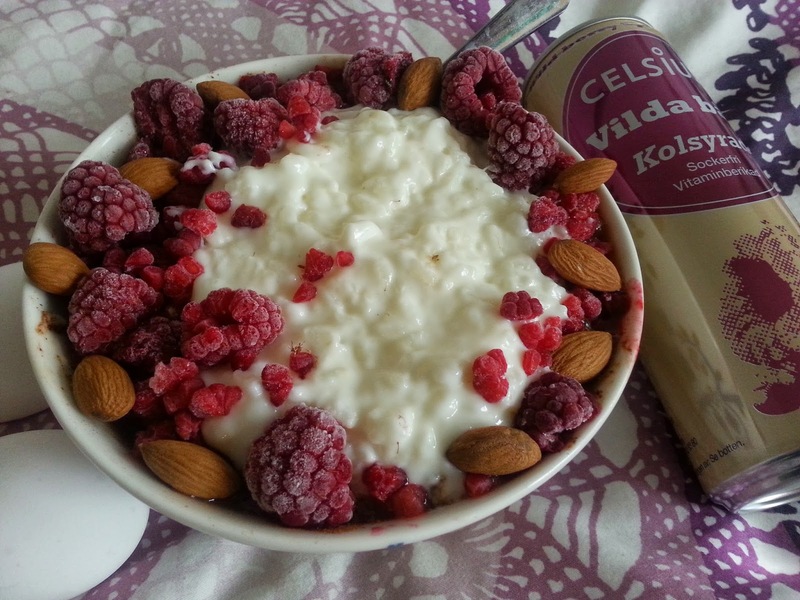 My absaloute favourite breakfast right now! Its an energy drink - so yeah bubbly water (but some arent bubbly!) My favourite is the pink one - the wild berries :) Great for when i need an energy boost, or if going out partying and dont want to drink alcohol! How do you make/what is your recipe for egg white oatmeal? 1-2 portion oatmeal, 2-3 egg whites, water - bring to the boil and keep mixing until done! Hahah that sounds delicious though and i can get that somtimes to. 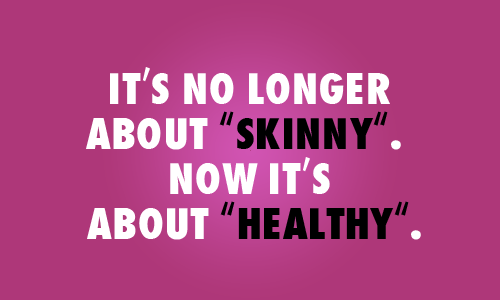 Ive eaten lunch for breakfast before and then breakfast for lunch ;) Weird - but listening to cravings helps! I love having either a fruit salad or egg white oatmeal both topped with yogurt. It's so delicious and so versatile! That's what I like about it, it doesn't get boring for me because I'm always experimenting. For fruit salad I use whatever we have at home but I really like using oranges and nectarines. And also once I add the yogurt I add things like jam, pb, nuts, honey etc. oh and berries of course. Sometimes I use fresh, sometimes frozen and sometimes bth. That way it's a surprise whether it fresh or frozen, hahaha! !